Can’t make it to Meguiar’s MotorEx13? Watch it LIVE! Post subject: Can’t make it to Meguiar’s MotorEx13? Watch it LIVE! The countdown to Meguiar’s MotorEx13 is on, and if you are not able to attend we have solved this issue for you. 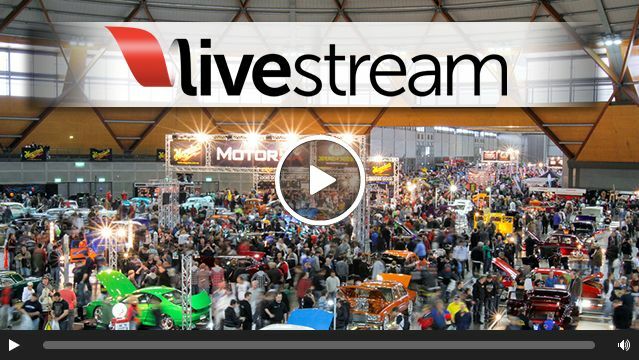 MotorEx13 will be streamed LIVE from www.motorex.com.au/live-stream on Saturday 20th July from 9:30am till 1:30pm. Being one of the first automotive show events to offer this feature, you will be able to see what is happening at MotorEx13 live from your computer, tablet or mobile. Featuring on the live stream will be highlights of the House of Kolor Inauguration, New Product Reveal, the legend himself, Chip Foose, interviews and much more from the show floor! If you CAN make it to MotorEx 13 you have the opportunity to see all of the amazing builds in the metal plus a whole lot more! Tickets are still available, click HERE for more information. For more information on MotorEx and its other famous attractions. Please visit their website HERE.